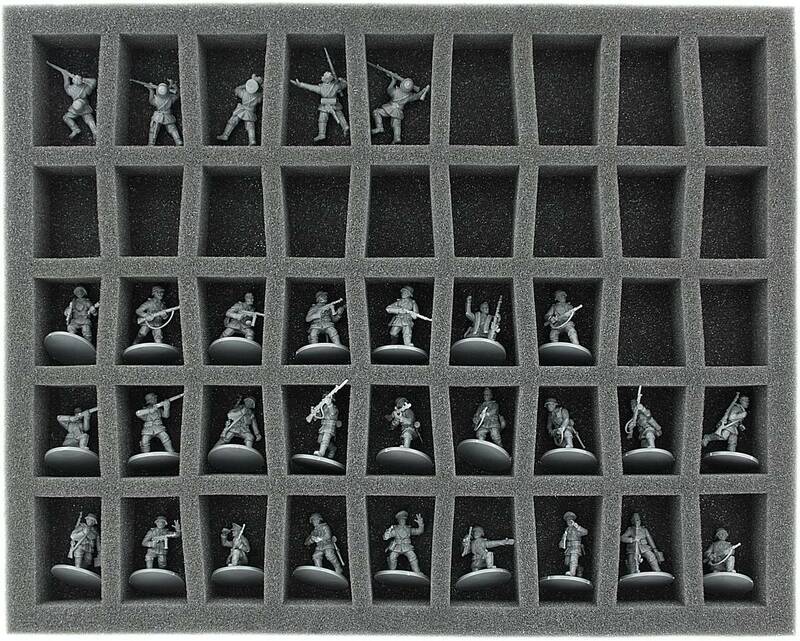 This foam tray has 45 compartments for the safe and orderly storage of your 28 mm Bolt Action miniatures. By way of the conical shape of the compartments, the most efficient use of the available space is accomplished. The fine-pored foam provides the best possible protection against breaking parts and scratches. The two specifications for the width refer to the short and long sides of the compartments, respectively. 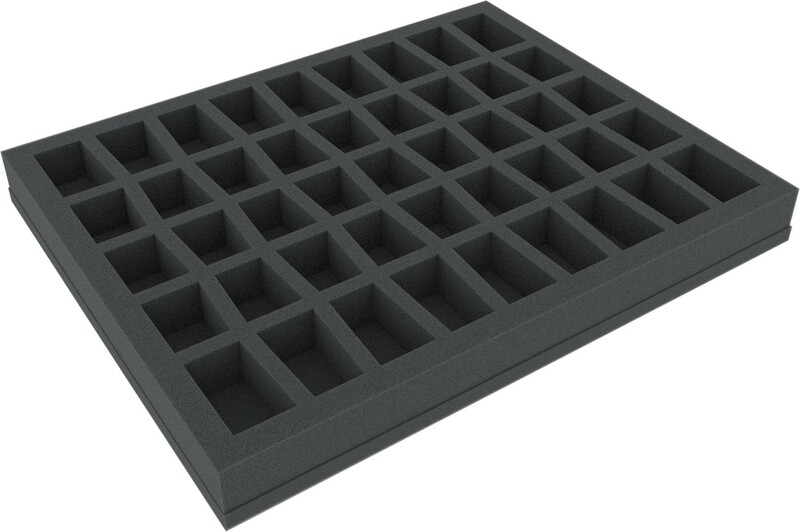 The tray has the dimensions: 345 mm x 275 mm x 35 mm total height (25 mm usable height + 10 mm foam base).